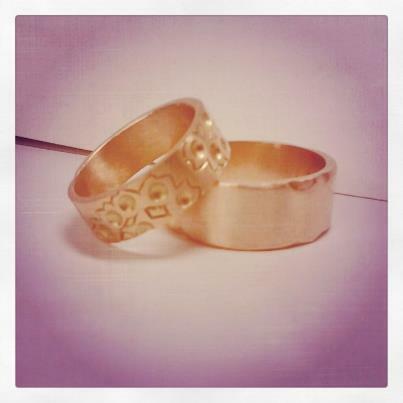 hand carved and engraved wedding bands: hers is inspired by her grandmother, reused 18k gold from old family rings. his is a classic wide band in 14k yellow gold with subtle uniqueness. best wishes for this creative couple!